In today’s world, all companies dream of winning in both the USA and China. These two countries are the top two economic powerhouses, and they represent two distinctive kinds of markets: developed Western markets and developing Eastern markets. My clients often have asked me what the main differences are between these two markets. What are the causes of these differences? Here I’d like to share three insights on what the key consumer market differences are and provide some tips for global brands to quickly adapt to these two markets. 1. Personal Appeal vs. “Desire to Be Seen”. If I ask you, “Bill Gates and Guo jingming (郭敬明), a young Chinese new rich, attend the same conference. Which one of them will dress in a more flashy style, and more likely will dress in luxury brands?” It’s highly likely that Guo will wear the latest season’s Prada, but Gates will come in a low-key shirt. As the richest guy in the world, Gates doesn’t need to prove himself or get attention with brand labels. He just needs to buy what he really likes and feels comfortable with. However, Guo, a “new rich” from a small town, still needs external confirmation of his success. He not only needs first tier brands, but he also needs people to notice that he is wearing them. The USA today, as a developed market, is more like Gates. Most consumer goods are within an affordable range. Consumers choose products more for their advantages to themselves rather than their reputations. Americans care more about how well things work than what image they project. China, a developing market, is more like Guo. People use brands not only for their functionality but also to project social status. That’s why some international brands changed their brand positioning in China. Häagen-Dazs, an ice-cream brand sold in American supermarkets, successfully reinvented itself as a luxury ice cream brand sold in boutique stores. Its absolute price in China is more than twice that in the USA. 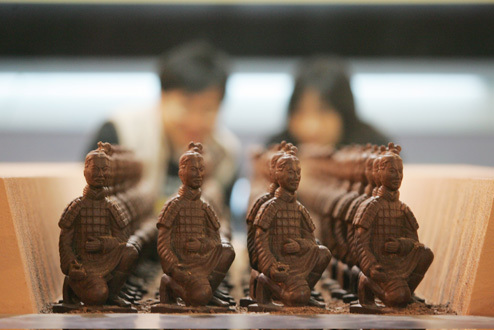 Americans treat Häagen-Dazs as ice cream, but Chinese see it as part of a high-end lifestyle. 2. Innovation vs. Brand Credibility. According to a consumer research study, the most important reason to choose a brand is “innovation” in the USA, but “brand credibility” in China. China is in a crisis of trust. The crisis is not only between the people and the government, but also between consumers and manufacturers. 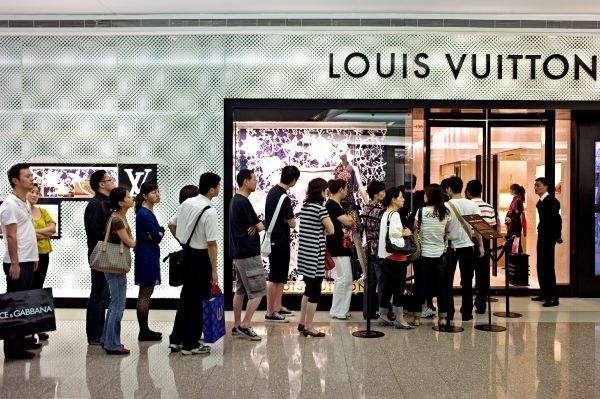 Especially in the recent decade, China has faced deep consumer product quality problems. If food and other consumer products were really compared against the official standards, nearly 50% would be judged substandard. In this context, when buying products, Chinese consumers dearly need assurance. For them, a big brand, a well-known brand, or a word of mouth endorsement is a proof of quality. Thus, the advertising of Chinese brands tends to emphasize brand history or product formula history. For example, all local Chinese cosmetic brands, even some just founded day ago, either like to claim that they are partnering with a Western brand having a long history, or claim their product formulations are from some ancient Chinese recipe. The USA is a more quality-guaranteed market, and its media are more transparent. Consumers feel they have access to the information they need, and they trust their Food and Drug Administration, so they don’t seek brand awareness or brand history as necessary proofs of product quality. Therefore, product innovation ranks as a top driver when they choose products. The advertising campaigns of new products like to emphasize newness: new benefits, new packaging, or new usage. 3. Regional Differences vs. Ethnicity Differences. These two big countries both are multifaceted, because they both have huge populations and large geographical size. There is no one size that can fit all of China, and the same for the USA. In the past twenty years, China has undergone a vast transformation. Due to the inequality of the government’s open door policy, there are huge incomes gaps between city and countryside, west and east, and coast and inland. The metropolitan cities and the coastal provinces are very developed, similarly to those of developed countries like the USA. You can buy all the global brands, and the stores you go to also have global names like Walmart and Carrefour. 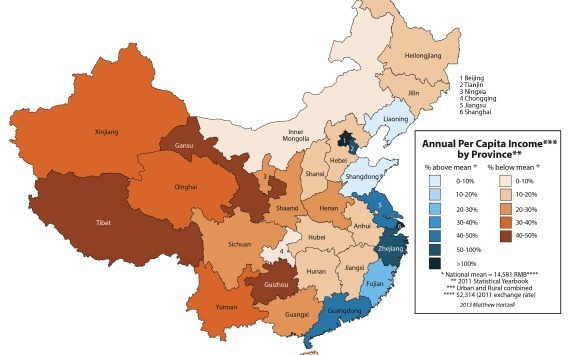 However, the inland cities and rural areas still are under-developed. Choices mainly are limited to local brands, or copycats of Western brands, and supermarkets are still rare, let alone international hypermarkets. The same global brand normally charges less in Beijing, Shanghai and Guangzhou than in Tibet, Xinjiang and Gansu, because transportation and trade costs are lower in the big cities than in the remote provinces. In the USA, there are not very big income differences between the regions. The same retailers exist all over the country. Sometimes travelling in the US is very boring. You land in a new city, but you see the same building structures and the same logos, you drink coffee in Starbucks, and you stay in Marriott. Unlike ethnically homogenous China, whose population is 99% Han, the USA is made of many ethnicities: 14% African American, 6% Asian, 15% Hispanics, and 65% Caucasian. Different ethnicities retain their own cultural habits. If we take hair as an example, we observe that Caucasian hair, Asian hair and African American hair are very different in terms of their composition and texture. More importantly, the different ethnicities have their own traditional point of view and ways to care for their hair. So, there are different brands tailor-made for different ethnicities.